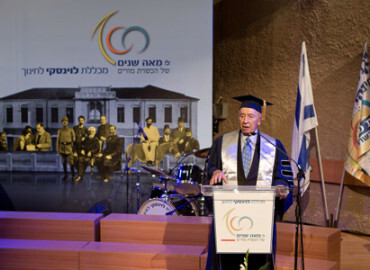 Levinsky College fosters cooperative relationships with universities and colleges in Israel and abroad which are committed to educational values and innovative teaching methods. Levinsky International School offers both long and short term professional programs for students and teachers from universities, colleges and schools abroad. The programs are closely supervised by distinguished scholars and experienced practitioners who extend hands-on training to develop and promote future educators and community leaders. Levinsky College of Education has been training dedicated teachers and skilled educators for almost a hundred years. Levinsky International School will extend this legacy to overseas students who wish to be closely acquainted with the Israeli academic and social-cultural atmosphere. Programs at Levinsky International School are offered to students who are Spanish, Russian and English speakers. Levinsky International School cultivates experts in a variety of educational and academic fields. It fosters educators who are attentive to the other, well integrated in the educational and sociological public systems, and deeply involved in community life.